Kate and Oli: Mish-Mashy Post of Fun! 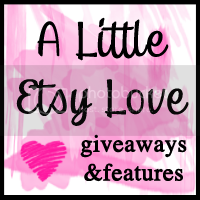 First off, I want to mention a few lovely giveaways that I've seen in the blogosphere. Third, I have to tell you about an amazing deal I got on Craigslist. I regularly scour the garage sale, arts and crafts, materials, and free sections on Craigslist, hoping to find amazing deals. And sometimes I do! I've found over 500 sq ft of Pergo for $100, I've found a free Pilates reformer, I've found a gocco for $200 (I didn't end up purchasing that one). Most recently, I found a listing for a bunch of yarn for $25. The first picture was unpromising, so I almost wrote it off, but after scrolling down further, I saw that this was a HUGE lot of yarn. When I picked it up (from a guy at his body shop who sheepishly told me, "It's my mom's. "), I saw that it was a lawn and garden sized trash bag full of all different kinds of yarn. There was a whole bag inside the bag full of Lion brand boucle yarn. Those retail for $5 a skein, and I have at least 10 of them! It was a super find and I am very happy with it! Fourth, I am obsessed with Swap-bot. I think about my swaps all the time. I obsess over what to send people. It's awesome and sad all at the same time. There are swaps for CDs, postcards, surprise boxes, granny squares, blog comments, facebook friends, everything! One of my favorites are the Quick Etsy $1 Wishlist swaps. You just make sure you have at least 10 $1 items on your etsy favorites and then you buy things off of each other's lists. The best part about swapping is that you get to get rid of things you have, but don't want or can't use, while getting things you CAN use. And if you can't, you just send them back again. I filled a whole shoebox yesterday with stuff I had that I know I'll never use, but that I can use for a swap! Some swaps are time-consuming (like altered journals) and some are quick (like blog comments or mix CDs). Here are some of the awesome packages I have received so far! wow! i love this post! it is chock full of interesting stuffs. i really like the idea of swap buddies. i participate in happy mail right now and i am participating in a pincushion swap right now also...those you posted look funfun! and you know? i had completely forgotten about craigs list...i need to go window shop for a bit. ciao for now lovely! Something interesting here, you are so lucky to win those. About the swap, I've heard about them but so far, I haven try any of them. Because the place I lived is very far from them. But I always happy to hear about them. Yay for giveaways and everything looks fun! Great share! You have given me a smile this morning!